This is the original version, introduced in 1981. It has five bottom tubes and two cross supports at tubes 2 and 4; and the inner wall are flat. As Light Bluish Gray exist, this version was still in production in 2003. This is the modern version, introduced after 2003. The inner walls have reinforcement ridges, two on the small side, and six on the long side. 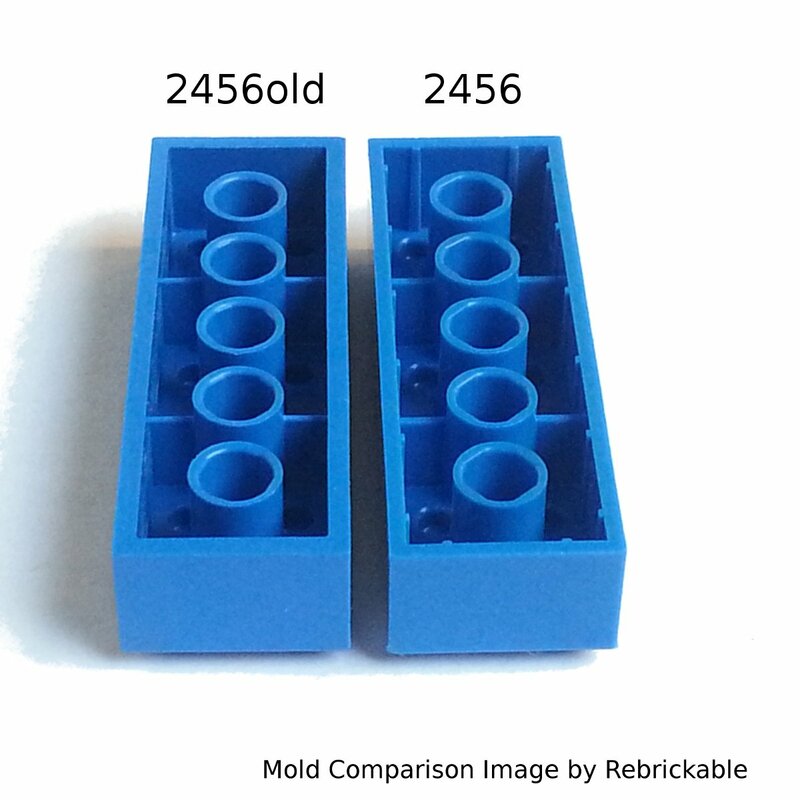 The mold comparison image on the right shows both versions. As long as we are unsure when the mold change happened, we cannot create different parts for these molds. Click on a colored part below to see the Sets and MOCs that use part 2456 Brick 2 x 6 in that color. You can find an overview of all LEGO Colors here.